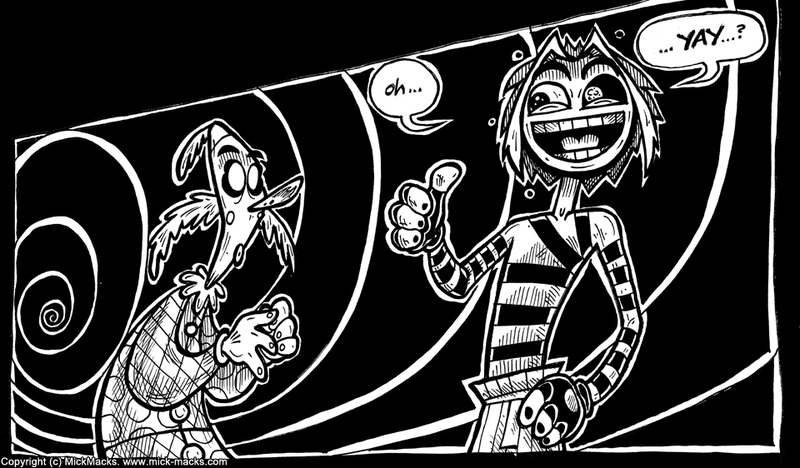 Checkers' World is a comic series that is completely separate and independent from the Checkers' Asylum and Checkers' Abyss graphic novel storyline. 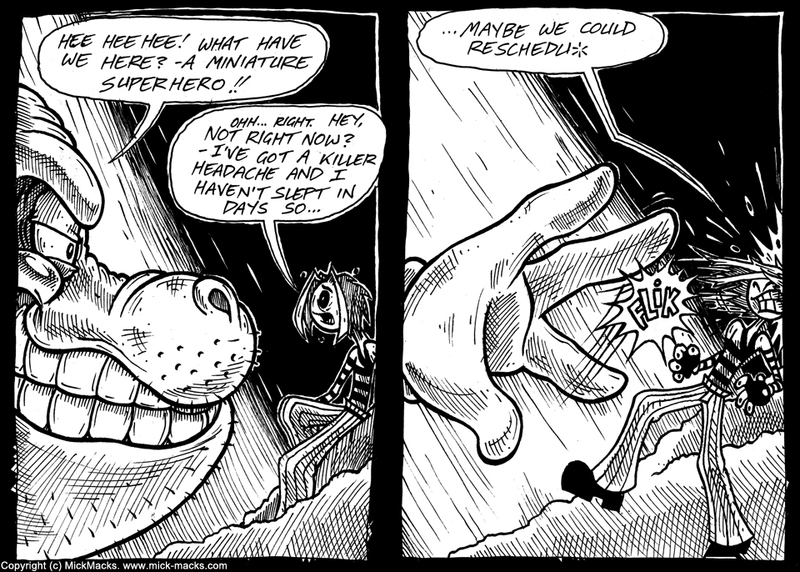 Although it features the same character, Checkers' World focuses solely on his cartoon hijinx with no ties to the world of 'reality', and is not as dark or mature. But his adventures do take him to some cool places. And he does meet some strange and interesting people. So, to sum it all up, Checkers is a cartoon dude that sometimes has cartoon adventures in a cartoon world with cartoon characters in cartoon, that may or may not provide a social commentary or parody of life and people in our own world! We use the print-on-demand services of Lulu to print Checkers' World as a beautiful quality trade paperback containing issues #1-5. Use the following link to order or purchase your copy directly from them. 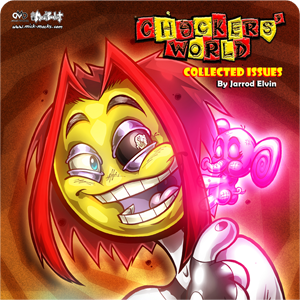 Individual issues of Checkers' World are also available in digital comic format from ComiXology for you to read on your phone, tablet or computer. You can purchase your very own copy from them directly by following the link below. Comic issues. B&W. 15 pages per issue. Join Checkers in his crazy cartoon adventures. From the sewers to distant galaxies, our hero battles against a wild range of characters in darkly comedic social commentaries. 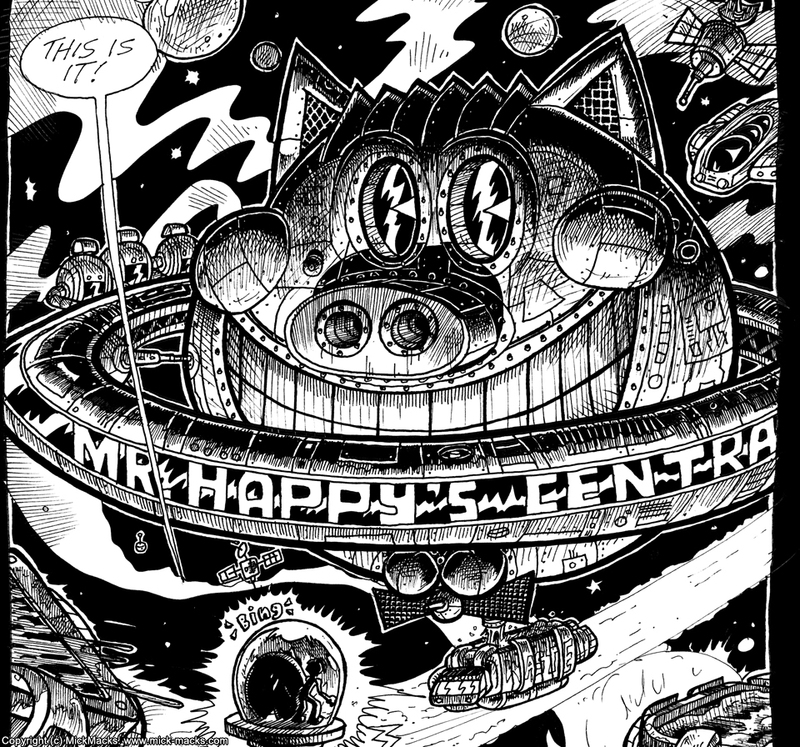 All content is (c) Copyright MickMacks: The Art of Jarrod Elvin. All rights reserved.